This is not your store bought Fig Newtons. Before I tasted a real fig, I just assumed that a Fig Newton was only making something better. Then I tasted a fresh ripe fig from our backyard last year. Heavens opened, angels sang, life was never the same again, yada yada. Along with stumbling across a fig tree last year in the backyard (it was a rental and the backyard was a bit jungle-esque, hence the actual physical stumble), I found that a fully grown fig tree provides fruit hard and fast, on its terms, not yours. And just like that I found myself the proud (if bewildered) owner of a small canning kit, and Jamie gifting me with home preserving books. I will also say that February in Perth is not the time you want to be standing over a stinking hot stove. 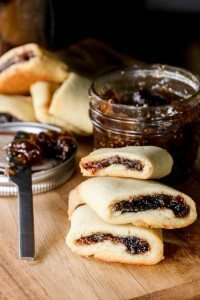 However, having been travelling over this fig season this year, I can honestly say I’m thrilled I made as many fig pastes as I did (half were eaten by the jarful as breakfast. Sometimes with yogurt if we felt guilty about balance). As I came up to the one year mark, I used the last of my jars, smearing them into this delicious Fig Newton cookie. If fig paste isn't being used, in a medium saucepan, place in the dried figs and cover with water. Let soak overnight. The next day, pour in the sugar, bring to a simmer. Let simmer until the the fig has become soft and breaks apart into a goopy paste. 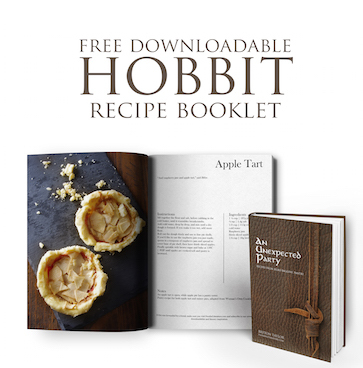 Mix together the dough, wrap and chill for one hour. Roll out the dough into a rectangle, and cut strips 5cm thick. Scoop a tsp of fig paste onto one end of the dough strip and roll. Bake for 10-15 minutes until starting to golden around the edges. 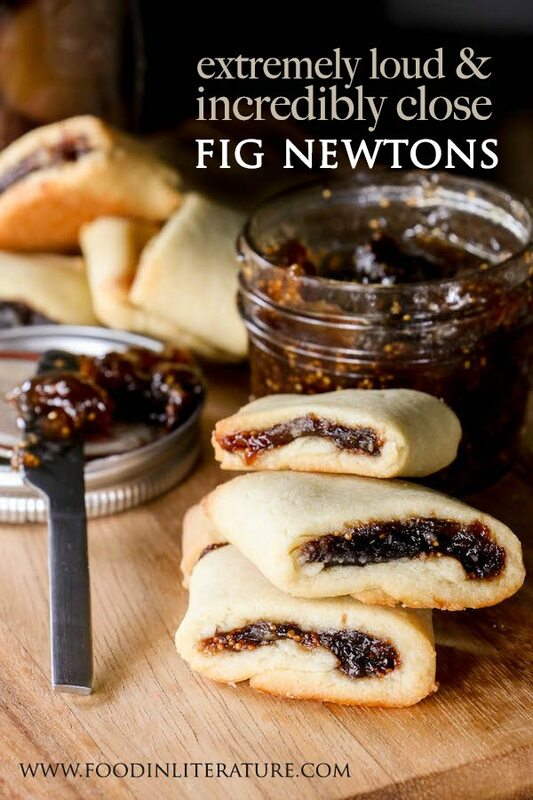 Wow those fig newtons look so amazing. I would love to have them a little warm, so so good. I LOVE this site. I love lit, and food! Can I subscribe?! these looks great! I will try using fig jam, its easy to find here.